For anyone who has kept a Betta or any fish for that matter, you will eventually come to question – why is my Betta fish not eating? 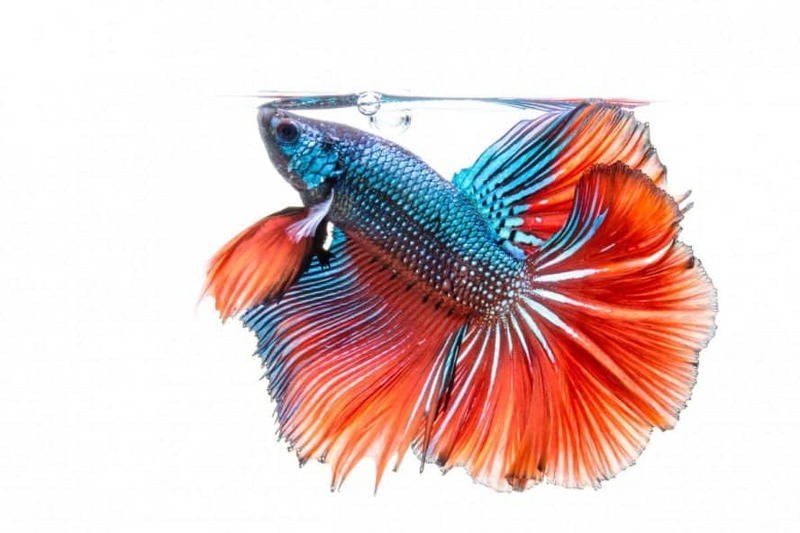 What are the top five reasons your betta fish is not eating? There are many reasons this could be, but the most common is that something is wrong in its tank (husbandry). This includes the wrong type of food, diseases, improper temperature, feeding the fish too much food, an unclean tank. What are the Top 5 Reasons why your Betta won’t eat! Of all the reasons your Betta fish may not be eating, husbandry is almost always the culprit. Husbandry is a word that sums up the state which your Betta’s environment is in; from the temperature of the water, to the food they eat, and even how often you clean or change the water in their tank. A temperature of 78 to 80 degrees Fahrenheit (25 to 26.5 degrees Celsius) is ideal and should never drop below 74 degrees Fahrenheit (23 degrees Celsius). If the water is too cold or too hot, your Betta fish will likely not thrive. On the other hand, the temperature should not exceed 86 degrees Fahrenheit (30 degrees Celsius), as excessive heat is not tolerated and can harm your Betta fish. Betta fish cannot regulate their body temperature and therefore rely on us to ensure optimal conditions. A Betta fish’s diet should consist of a very protein-rich, meaty type food. Prepackaged meals such as frozen or live bloodworms, brine shrimp, daphnia, or even specially formulated pellets are excellent food sources that meet all the nutritional requirements for your Betta. If you do decide to feed pellets just be sure to read the label to make sure they are formulated specifically for Betta fish, because not all pellets meet a Betta’s specific protein needs. We use two type of food for our Bettas. Firstly, we use Tetra Betta Plus Floating Pellets. Secondly, we use Hikari Gold Mini pellets all from Chewy.com one of the largest online Aquatic Pet sulliers. Now that we know what food we should be feeding our Betta, it is important to know how often. A very common mistake made among fish keepers is overfeeding. It is imperative that you do not overfeed your Betta, as it can make them very sick. The stomach of a Betta fish is roughly the size of their eyeball, so just two or three pellets or a bloodworm or two is sufficient enough per feeding, usually twice daily. If you miss a morning feeding, don’t try to make it up in one meal in the evening. Just feed normally and your Betta will be fine, even though they may act like they are starving. Some Bettas would eat the whole bag of food if you would let them. As a day to day staple food you should consider using Omega One Buffet Flakes as they have ingredients that will bring out the natural color of your Betta. This, mixed with some bloodworms, pellets and the odd live-food treat will ensure that you are feeding your Betta a good variety of food. 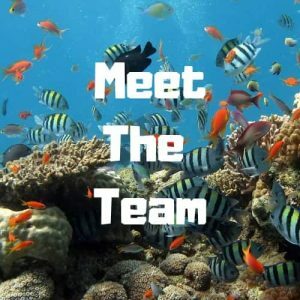 Can dirty water make my Betta sick? Remember, your Betta fish poops, eats, and urinates all in the same water it in which it lives. Imagine yourself sitting in a room with no ventilation, smoking cigarettes all day. It wouldn’t be long before you need some fresh air. The same is said for your Betta. When they urinate, they release ammonia into their water and as that level builds up it can make your Betta feel very sick. How often should I clean my Betta’s tank? There really is no specific date and time to do this. Creating a routine is an excellent way to make sure your Betta’s tank always stays clean. If your Betta lives in an unfiltered bowl or tank (which we do not advise), then usually, a 20 to 25 percent water change every few days, combined with a complete water change once or twice a week is sufficient. If your Betta lives in a bowl or tank that utilizes a filtration system, then maintenance can be pushed to a changing about every two weeks. It depends on how much waste can be observed in this time. Read our complete guide ‘ Filters for a small aquarium ‘ These are perfect for Betta fish tanks and will ensure your Betta has the best water quality to thrive. For the smaller water changes most of the time your Betta can just continue with its day to day living, right there in the tank. But when it is time to do a thorough cleaning it is recommended to move your Betta to a quiet, safe place. Remember, stressing your Betta can make it feel bad. How do I safely remove my Betta from its tank? Some people remove their Betta with the help of a small net specially made for aquarium fish. It is an effective way to catch a Betta fish in a tank, but it can still cause a bit of stress. Think of yourself taking a nice relaxing swim, and wham – someone scoops you up with a big scary net. Okay it’s not that bad, but one could understand the feeling. Using a clear cup of some sort, a measuring cup with a handle works wonderfully, you can gently scoop your Betta up while keeping it fully submerged underwater, and it’s usually none the wiser. It can even just float around in this container until the tank cleaning is finished. It is Never recommended to catch your Betta fish with your bare hands. You can easily damage their scales and contaminate their bodies and the aquarium water. There are also special fish traps which you can use, these are clear boxes that the fish swim into but then can’t get out of. You can leave them in over night and wake up the next morning with your Betta safely trapped inside the box, ready to be removed. What kind of water should I use in my tank? Many people think – well my Betta used to live in a lake or stream somewhere, so tap water should be just fine right? Wrong, tap water contains a multitude of additives and cleaners such as chlorine to make our water safe to drink. These cleaners are dangerous to Bettas and can make them feel very sick. RODI (reverse osmosis deionized water) is the safest way to keep your Betta fish’s tank water clean, because all, or at least most of the chemicals and heavy metals are filtered out, leaving your Betta with pure, clean swimming bliss. Read our review and Buyers guide for RO-DI systems. Where do I get RODI water? There are several different kinds of reverse osmosis systems that can be found online or sometimes locally, that can actually be installed in your home. Some of these systems can be expensive, but can you really put a price on your Bettas health? Another option if you do not want to spend the money up front, is to ask your local pet store if they have RODI water. Most pet stores that sell fish also stock jugs of prefilled RODI water that you can buy to use at home. If you’re only keeping one fish this may be the more economical route. Can my Betta get parasites? Parasites are a very common reason why your Betta fish may not be eating. Ich (Ichthyophthirius Multifiliis) is one of the most common parasites found in an aquarium. It affects all fish and can even cause death if left untreated. 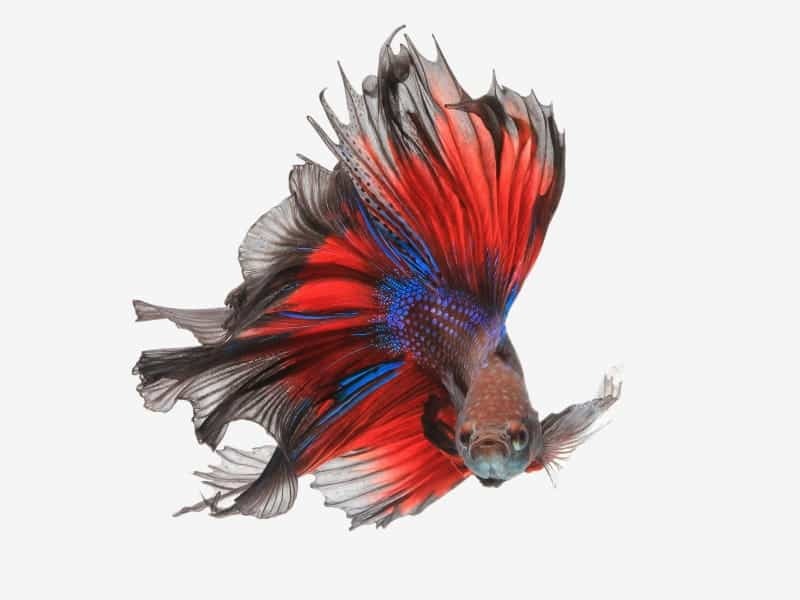 Ich will make your Betta feel awful and they will certainly stop eating. 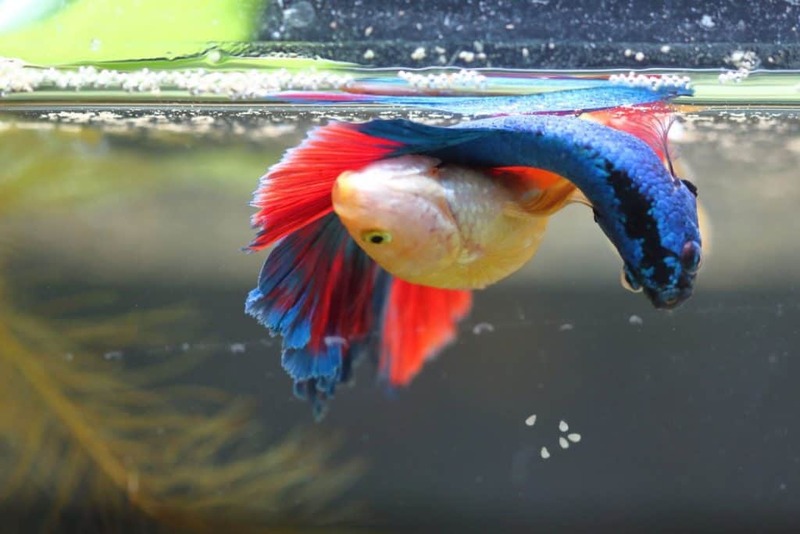 Bettas, however, seem to develop a small immunity to ich – after having overcome ich with treatment, and with proper husbandry, they do not usually develop it again. Where do my Betta fish’s parasites come from? Even though your Betta may be the only fish in its tank, it is unfortunately not excluded from contracting parasites. Microscopic bacteria and other organisms such as ich can hitch a ride on plant decorations, unclean water, and even your Bettas food. Often ich isn’t noticed until you’ve made your purchase and get your fish home. The stress from moving and the car ride can suppress a Bettas immune system, allowing ich to present itself and take hold. Sometimes your Betta just happens to be sick before you ever bought it. Does my Betta get stressed? All fish get stress and Betta fish are not immune to it, and since they are solitary creatures, they don’t have the safety-in-numbers feeling that say a goldfish may have. 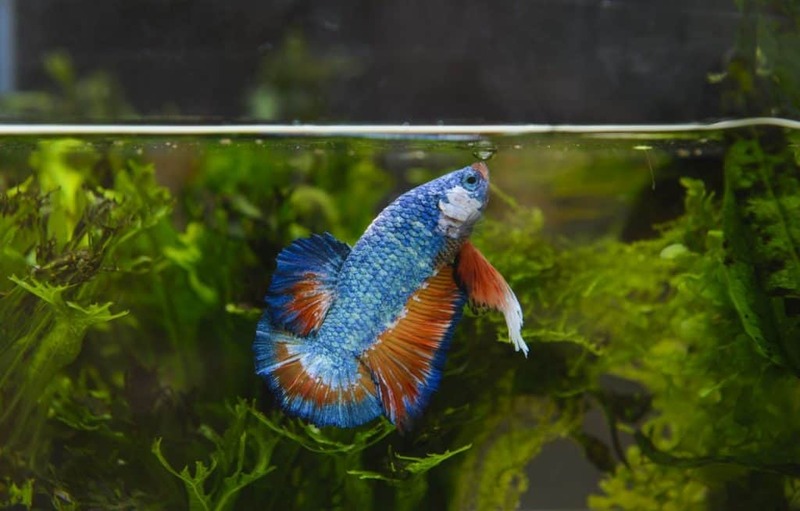 There can be a number of factors for your Bettas stress, one being Bettas are also known as fighting fish, and for good reason. Males tend to be extremely territorial and will fight to the death if housed with another male. Even if the fight is stopped before death occurs both fish will be very stressed and may not eat for a while. Males do seem to tolerate female Betta fish more, usually when it is mating time, but it is still recommended to supervise introductions as they can go south very quickly. Whilst Bettas are breeding, they display some strange behaviors – both singly and in pairs. They perform some strange dances as part of their mating ritual and often stop moving for long periods of time. Signs of breeding are pairs intertwining and starting to form bubble nests on the top of the water. All are clear signs they are mating and breeding has commenced. What are signs of my Betta is ready to mate? Male Betta fish will build a bubble nest, yes, literally a nest made of bubbles they create. If you notice this behavior in your Bettas tank do not be alarmed, this is natural mating behavior and can be quite interesting to witness. Usually during this mating time they will not eat as much. Does my Betta need a hiding spot? Another reason for stress is not having a dark quiet place to get out of the light and away from the hustle and bustle of a human household. The family cat looking interestingly in to the bowl, or just people walking by can stress your Betta fish, so it is recommended to have an aquatic cave or dense plants in the bowl or tank, so your Betta has a place to feel safe. Can I bring my betta fish to the Vet? Some veterinarians do indeed examine and treat Betta fish. Finding one however, can be a challenge. Exotic vets can be few and far between sometimes, so finding one before you purchase any kind of exotic creature is always recommended, as it is almost always inevitable that you will need one at some point in your pet’s life. Conclusion: Why is my Betta Fish not Eating? Correcting one or all the problems addressed above is the best way to get your Betta fish to start eating again. Some Betta keepers have even taught their Betta to eat out of their hand, and even do tricks. This is a fantastic way to bond with your fish and can really make a difference in their eating behavior. Keep in mind though, that even with the best husbandry, your Betta fish may still not want to eat. Offering a variety of foods can sometimes help entice your Betta’s appetite. Some Betta fish like to hunt for their food. After thawing, a bloodworm will still kind of ‘wiggle’ around with the movement of the water, and you may notice your Betta becoming very excited. Sometimes they just want to be picky, and it has absolutely nothing to do with the state of their environment. The time of day or night you feed some fish can have an effect on their movement. Most will feed through the day but some are nocturnal fish and will feed through the night. In that case, using an automatic fish feeder might be useful. Just like all creatures, they can develop tumors, cancers, and a myriad of other diseases, none of which have anything to do with the care they have received. So, don’t be discouraged if your Betta becomes ill, because even with the best care, things just happen.